There aren't enough food, service, value or atmosphere ratings for Anjappar, India yet. Be one of the first to write a review! Very tasty chicken tandoori and paneer masala. Restrooms awfull. Had a rat coming out of the rest room and very dirty toilet. Service was quick and came with a smile. The mutton soup and fish fry were delicious. Chicken curry, appam and chicken biriyani were all really good. Pot kulfi was not kulfi - was just a frozen sweet dessert. ultimate south indian non veg taste. that hot and sour spicy chicken soup is a wonderful starter for me while i having cold. mutton kothu parotta,schezwan noodles also wonderful. 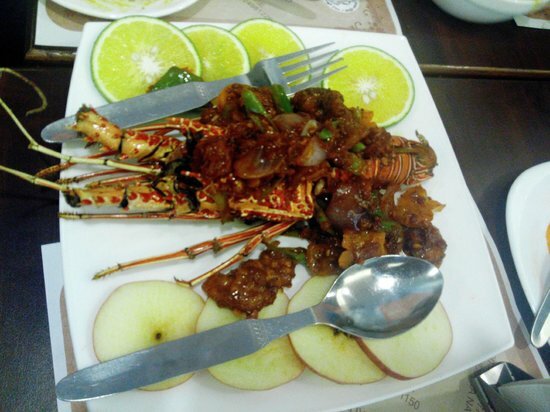 Delicious food are available for lunch at an affordable price. A must visit place for tourist who are food lover. Have visited several times in last so many years, this joint never disappoint. Love the appam with any chettinad mix. The Anjappars is truly a cosy restaurant for any crowd. 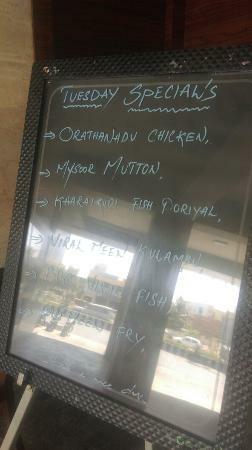 The speciality is ofcourse chettinad delicacies. The food is really spicy. The service was above average. 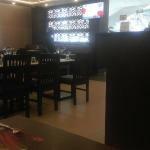 The dishes are bit expensive.Try out some chettinad special dishes. Not worthy and worst ambience....!!! Get quick answers from Anjappar staff and past visitors.